GLENEAGLES, Scotland – The start of this Ryder Cup was a lot like how the last one ended. European blue filled the scoreboard Friday afternoon at Gleneagles with strong finishes that Europe is renowned for in these matches. Rory McIlroy knocked in a 40-foot birdie putt across the 17th green, and Sergio Garcia followed with a 5-wood out of the rough and onto the 18th green to set up another birdie as they rallied to earn a halve that felt like it was worth much more. They squandered a good start and faced another deficit, along with more questions about who played – and who didn’t. Jordan Spieth and Patrick Reed made their Ryder Cup debut by handing European stalwart Ian Poulter his worst loss ever – and his first loss in eight matches – by building a 6-up lead through 11 holes and winning, 5 and 4, to take the early lead in morning fourballs matches. That didn’t last long – and neither did the young Americans. Spieth and Reed sat out in the afternoon. Europe won three matches and halved the other – its best record ever in foursomes – to build a 5-3 lead. “For our guys to react the way they did, for all four matches to be up after six holes – there was blue on the board for every single match – was a terrific response,” captain Paul McGinley said. Phil Mickelson and Keegan Bradley became the first U.S. partnership to start out 4-0 with a great finish of their own to beat Garcia and McIlroy in fourballs. But they faltered badly in foursomes, leading to some second-guessing of Watson’s decision to send them out again and leave Spieth and Reed on the bench. Even the 65-year-old captain had his doubts. “I thought at the time it was the best decision not to play them,” Watson said. Spieth said he was told that the morning performance would dictate who played in the afternoon and he was “100 percent certain” he and Reed would be going back out. Reed pleaded his case with Watson, though both later said they were willing to do whatever Watson wanted. 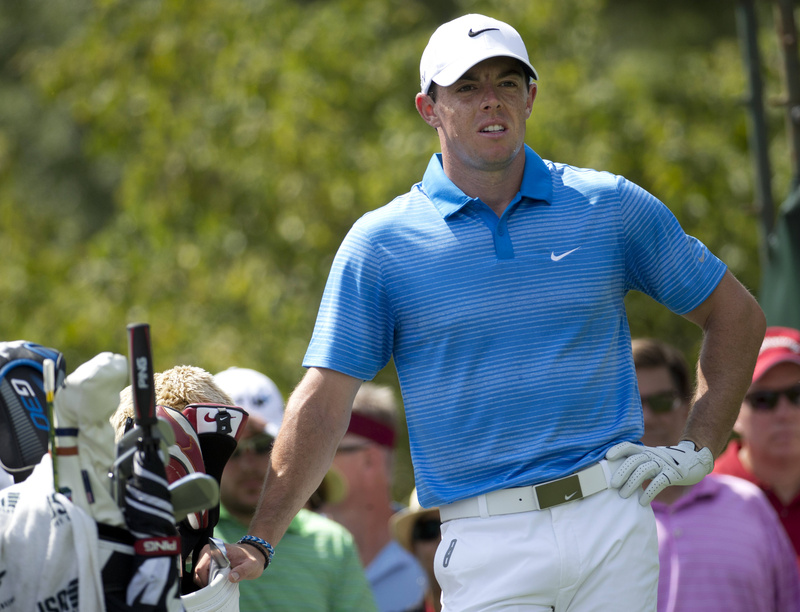 McIlroy was on the verge of becoming the first No. 1 player in the world to lose both matches on the first day of the Ryder Cup since Tiger Woods in 2002.